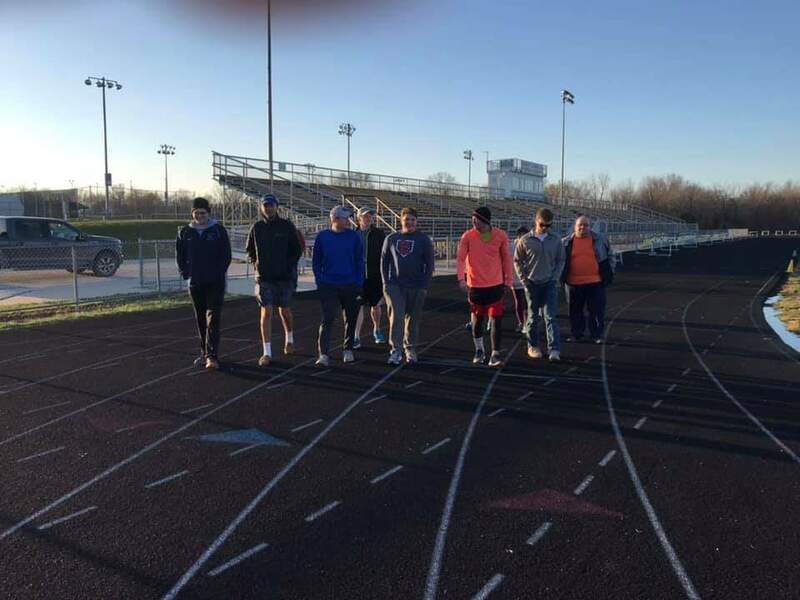 A number of Beta Theta Pi brothers and other supporters from the local community joined Trevor Neal on the Fulton High School track during his 24-hour journey for suicide prevention. Pictured from left are Will Harris, Nick Lakowski, Brent Lampen, Sawyer Breland, Sean Carey, Neal (in knit hat), Daniel Lair, and Landon Smith. Trevor Neal ’18 ΒΘΠ is a busy student at Missouri University of Science and Technology in Rolla, MO, who used his recent spring break to fight for a cause close to his heart. Neal ran for 24 hours straight on March 30 to raise money for suicide prevention. “In high school, I lost a close friend to suicide, so the topic is very close to me,” Neal explains. His fundraising efforts caught the attention of Fulton’s local paper prior to the effort and can be read here. 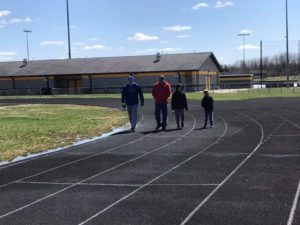 Neal’s father, Kevin, and cousins, Parker and Cooper Bedford, joined Neal on the track. 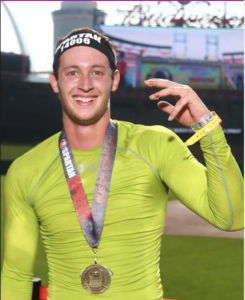 Inspired by Spartan Races, Neal, left, participated in a Spartan Stadium Series Sprint in August 2018 at Busch Stadium in St. Louis, MO.